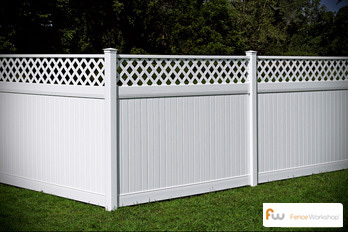 Fence Workshop™ of Apex, NC is the leading supplier of vinyl fences. Whether you’re in the historic Downtown Apex area, or nestled nicely in one of Apex’s neighborhoods, we have the perfect vinyl fence for your needs. 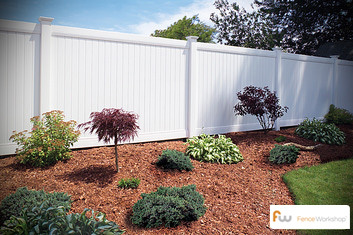 Contact us to discuss your needs and how a custom vinyl fence can fill them. Vinyl fences are extremely versatile and can be used to surround your beautiful home or business. Vinyl fencing is one of the longest lasting and most aesthetically pleasing fencing options available. While most of our vinyl fences are white, they are also available in brown and off white colors. If you’re looking for a professional Apex fence company to supply a vinyl fence for your home or commercial project, we want to be your go-to fence company! 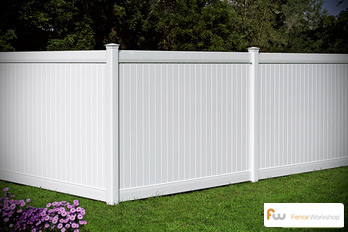 Why choose Fence Workshop™ for vinyl fencing in Apex, North Carolina? Wood Fences In Apex, NC. Aluminum Fences In Apex, NC.